Amplivox Donates Pink Podiums for Breast Cancer Awareness Presentations and Events. AmpliVox Sound Systems supports the fight against breast cancer by donating pink podiums designed in breast cancer awareness pink with custom panels highlighting the hope for a cure, awareness, and giving. NORTHBROOK, IL--(AmpliVox - December 29, 2009) - AmpliVox announced an unprecedented corporate campaign to support the cause for Breast Cancer Awareness. To raise the bar on “being heard”, AmpliVox is donating one pink podium to every breast cancer awareness related presentation or event, on a free loan-per-event basis. The Pink Podium Promise program will help to connect with new audiences and heighten the awareness and education on the importance of the early detection of breast cancer. "We’ve affirmed our ongoing commitment to the fight against breast cancer, which AmpliVox supports through its Pink Podium Promise. Donating the Pink Podium to breast cancer awareness related presentations and events is our way of allowing all voices to be heard," commented Don Roth, CEO of AmpliVox. The Pink Podium is the Pinnacle Multimedia Hard Shell Plastic Podium, a virtually indestructible hard plastic lectern that can survive tough abuse indoors or outdoors. To request a Pink Podium, contact Nancy Gerstein, at 847-401-0384 or nancy@creativemarketingassociatesinc.com. Click Here to request info about the Pink Podium Promise, or to obtain a Pink Podium for your breast cancer event or organization. AmpliVox® Sound Systems products are made in the USA (with only a few exceptions), meet stringent UL standards, and come with an up to 6-year warranty. Our wide selection meets every speaker's sound coverage and style needs. Whether you are in a small meeting room of 30 people or a large 20,000 square foot auditorium of up to 10,000 people, AmpliVox ® Sound Systems' extensive range of superior quality, simple to operate and reliable electronics will provide maximum satisfaction and ensure a crystal clear message. To meet the demands of the lectern market, AmpliVox Sound Systems has created a new catalog that highlights its 43 unique non-sound lectern styles. NORTHBROOK, IL--(AmpliVox - December 7, 2009) - A new non-sound catalog (http://www.ampli.com/pdf/NonSoundCatalog.pdf) has been published by AmpliVox Sound Systems to highlight the extensive variety of lectern styles offered. This new catalog illustrates Amplivox' wide selection to meet the varying needs of presenters and public speakers; from educators, event planners, government staff, business executives, meeting organizers, conference leaders, trainers, and worship leaders. “Our wide variety of non-sound lecterns truly provides a style for every speaking need," commented Don Roth, Amplivox Sound Systems CEO. Businesses reselling AmpliVox lecterns as well as customers looking to purchase a lectern without sound will find the catalog easy to use. To narrow down the selection quickly, its been designed with large images in the table of contents and detailed information on each product page. The extraordinary unique features of the podiums in the new catalog provide a selection that is elegant and gorgeous for every décor. They are not only durable, but eco-friendly as well. All exceed environmental standards and many of them use recycled or renewable materials. They are forest friendly, CARB, 100% recovered and recycled wood fibers, and LEED compliant. AmpliVox laminates, veneers, and solid hardwood lecterns add warmth and style to any speaking engagement. The range of acrylics and virtually indestructible hard shell plasticpodiums provide exclusive modern touches. The sizes and shapes from tabletop, multimedia, to adjustable and full height offer unparalleled selection. Available in print or online (http://www.ampli.com/pdf/NonSoundCatalog.pdf). School Staff and Teachers can meet the No Child Left Behind safety requirements with the Amplivox Half-Mile Hailer with a half mile range for fire drills and emergency situations. Northbrook, IL. November 4, 2009. AmpliVox® Sound Systems Half Mile Hailer series of long range portable sound systems is perfect for safety drills and emergency preparedness! Imagine giving directions to hundreds of students with sirens and fire equipment blaring all around. How are you going to get your students to a place of safety? You need to be heard, and unlike megaphones which cover your face, the Half-Mile Hailer lets you see and be seen and heard over great distances and in incredibly noisy emergency situations. Be prepared for unforeseen circumstances. The consequences of not being heard in an emergency might just mean the life of one or more of your students or teachers. Half-Mile Hailers and Megaphones also help schools meet the security requirements of the No Child Left Behind Act, which mandates schools to offer secure, safe learning environments for their students. Use the Hailers and Megaphones to direct fire drills, tornado drills or any emergency when directions must be heard. The Half-Mile Hailer is not only great for emergencies but also for athletic events and other typical needs for schools everywhere. 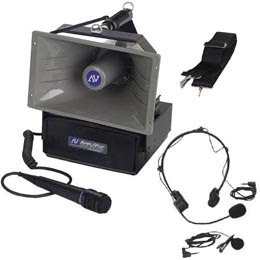 The Half-Mile Hailer series includes: Model S610A: 50 watt multimedia amplifier; 1 handheld cardioid dynamic mic; portable horn speaker, 5 ft. coiled cord. Model SW610A: 50 watt wireless multimedia amplifier with built in receiver; wireless headset and lapel microphones. | Model SW615A: 50 watt wireless multimedia amplifier with built in receiver; 1 handheld wireless mic; portable horn speaker. | Model SW630 Kit: includes the SW610A, additional S1264 horn speaker; 40-ft. cable, two S1090 tripods, S1960 rugged reinforced nylon case with luggage handle & wheels. 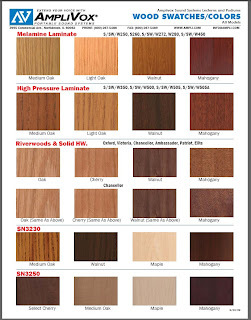 Check Out Our Updated Document Library with Non-Sound Lectern Catalog, Wood Swatch document and more!! 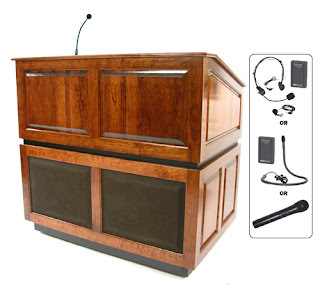 Amplivox Sound Systems introduces the Ambassador Solid Hardwood Presentation Lectern a fully customizable solid hardwood multimedia lectern. NORTHBROOK, IL--(AmpliVox - October 9, 2009) - Amplivox Sound Systems is proud to introduce to the market the Ambassador Solid Hardwood Multimedia Lectern. With the introduction of the Ambassador Lectern Amplivox can now reach out to the needs of training, classrooms and multimedia venues in exciting new ways. The Ambassador Lectern has a host of exceptional presentation features that Amplivox is confident will provide the type of high quality image and feature rich design that the most sophisticated of customers requires. The quality of wood and the level of craftmanship have never been better, and the lectern's design is both beutiful and functional. The lectern is fully customizable, and unlike most lecterns of its size it is completely portable with battery powered sound system (SS and SW models only) and large durable industrial casters (2 locking) that make it extremely easy to maneuver. Customers can choose from any of the ten standard options, or call for quotes for custom features. Among the Ambassador's features the spacious storage, optional rack mounts and cooling fan with grill cover make it especially easy to install computers and other electronic equipment. Other options like its durable extra wide keyboard drawer, document imaging equipment drawer, meeting timer and deep custom monitor wells allow the Ambassador to meet a wide array of presentation needs. The ability to fully customize this lectern also opens up the possibility for custom built electronic control keypads, special sized rack mount space, custom cut outs or whatever other needs the customer may have. This lectern is available without any sound system, or with a wired or wireless 50 watt sound system and four Jensen design speakers, which allows the lectern to be moved from room to room without ever having to find an electrical outlet or sound system. Our SS3035 and SW3035 models come equipped with a sensitive electret mic that can pick up vocals up to 18" away. With the SW3035 wireless model customers can choose from wireless lapel, headset, handheld or collar mics. MSRP for the SN3035 is $5,995.00, the SS3035 is $6,741.00 and the SW3035 is $7,143.00. AmpliVox Sound Systems Reintroduces the All New Greener Pinnacle Multimedia Lectern. AmpliVox® Sound Systems is proud to announce the Reintroduction of a greener Pinnacle Multimedia Lectern! The Pinnacle has also undergone a complete redesign and a host of new features have been included making it a much better buy for the same cost to the consumer! NORTHBROOK, IL--(AmpliVox - October 9, 2009) - A proud chapter in Amplivox history is being written as a greener and more feature rich line of products is being offered. The flagship of this new effort for Amplivox is the reintroduction of a greener Pinnacle Multimedia Lectern packed with new features and quality built in the USA. Care for the environment and a desire to reduce post-consumer waste led Amplivox use primarily recycled plastic materials in construction of the Pinnacle Multimedia Lectern. Amplivox wants the consumer to know that it is striving for excellence in environmental standards and hopes that others will manufacture products that reduce our impact on the environment. Our 50 Watt Amplifier and 2 Jensen Design Speakers built into the unit (SW3250). Speak to audiences of up to 1,500 in rooms of up to 15,000 square feet. The contours of the cabinet have been redesigned for a more elegant look and recessed handles and locking industrial casters have been added for easy maneuverability. There is also now a six outlet surge suppressor strip for AC power, which is perfect for all your multimedia devices. The Pinnacle's reading surface is now flat so your laptop, projector or other device stays safe and secure. Virtually indestructible hard shell plastic construction that is still strong enough to survive almost any abuse. Console Features: Built-in Timer, LED reading lamp and comfortable padded wrist rest. Convenient shelf for notes, water or multimedia storage. Our SW3250 model comes equipped with a built in 50 watt sound system with your choice of wireless microphone (lapel, headset, handheld or collar mic) and two built-in Jensen design speakers with acoustical housings. It also has all the great features of the ST model, which include XLR Output, XLR Microphone cord, 6 outlet surge suppressor and AC in plug (IEC Type). Our ST3250 model comes ready to be used with an existing sound system with the XLR out and the other great features that have just been listed. If your looking for a non-sound lectern that's easy to move and will last a lifetime, our SN3250 comes without any built in sound features. MSRP for the SN3250 is $1,357.00, the ST3250 is $1,671.00 and the SW3250 is $2,193.00. Some of you may not be aware of a new document that has been placed in our document library. It shows in one convenient location all the colors and wood swatches available for our lecterns! Or click on the image to the left. Become a fan of Amplivox Sound Systems on Facebook! 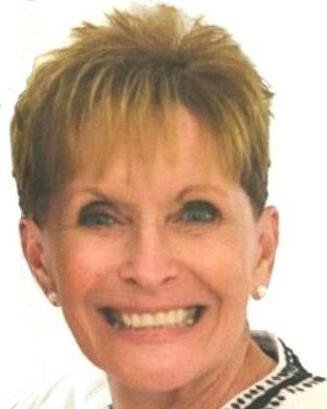 We have had a few happy customers give great reviews of us on www.youtube.com. One thing is obvious from all the them... they really show the power of our S610A. Click Here to Go to the Half Mile Hailer Page. Check out new Half Mile Hailer Review on Youtube! Check out other Half Mile Hailer videos on Youtube! United Stationers used our Digital Audio Travel Partner for their recent town hall meetings. Click here to see the Press Release and Video! In case you hadn't heard. Barack Obama's message on his 100th day in office was entrusted to the Amplivox MityMeg Megaphone - S602. And Last but not least there are two important white papers you should read... Amplivox products soar above the competition. 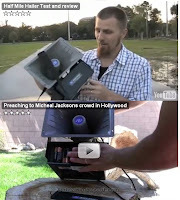 Amplivox Roving Rostrum Design Concept Beats the Competition In Sound Tests Hands Down with 180 degree audience sound coverage and internal storage space. NORTHBROOK, IL--(Amplivox - May 28, 2009) - New sound concept features allowed the Roving Rostrum Tabletop Podium PA to beat the competition hands down in recent tests. The Roving Rostrum Tabletop Podium PA (http://www.ampli.com/sw124.htm) Amplivox tabletop PA was found to provide more space for your audience to the right and left with angled speakers and its accessory storage area was certainly an added value. 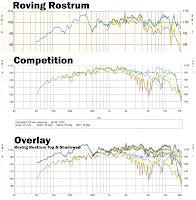 Recently the Roving Rostrum and a Leading Competitor were compared in a variety of sound comparison and feature tests. The first of these compared the surface area of the speaker cone. With all else being equal the bigger the speaker cone the louder the speaker. The competition's two single cone round 4" speakers have a combined cone surface area of less than 26 inches. The Roving Rostrum has two 6"x8" oval speakers for a combined surface area of over 42 inches. Our speaker also uses dual cone speakers that have a smaller auxiliary cone placed on top of the main cone, which provides even smoother frequency response even off axis with the careful matching axis design of these two cones. Secondly each units volume or output decibel ratings at various frequencies were tested. From 700Hz to 10 KHz the competition’s SPL is 95dB +/- 5dB, but the Roving Rostrum’s SPL is 101dB +/- 5dB providing an additional 6dB of volume. See Figure B. Also tested was the volume across 30, 60 and 90 degrees from the unit. The cyan line (in figure C) is the “on axis curve” with the microphone directly in front of the podium. The Competition's line is fairly smooth but fades away sharply at 15 KHz. This will not affect vocals; however, the playing of music will be affected by the lack of upper har monics (higher notes). Amplivox's dual cone speaker however shows smooth response even to 20 hz. The green lines in both charts represents the microphone placed 30 degrees off center of the podium with yellow being 60 degrees and Red representing 90 degrees off center. Notice that the competition has very large and wide dips and peaks…as much as 35dB from center. The Roving Rostrum, however, is much smoother in its gradual drop off with the maximum change of only 10db! This is why anyone sitting off to one side or the other of the competitor's unit will have a much harder time hearing and understanding. See Figure C.
The incredible performance of the Amplivox model particularly in this third test was made possible with the new space design of the Roving Rostrum. In designing the unit the two speakers were angled into the unit (for wider sound coverage) making room for plenty of storage space. The unit's accessories (microphones, cables etc.) can easily store inside the front of the unit with this innovation. So the new space design allowed both a wider amount of space for the audience to sit to the right and left, and a large storage space for accessories. Amplivox® Sound Systems products are made in the USA (with only a few exceptions), meet stringent UL standards, and come with an up to 6-year warranty. Our wide selection meets every speaker's sound coverage and style needs. Whether you are in a small meeting room of 30 people or a large 20,000 square foot auditorium of up to 10,000 people, Amplivox® Sound Systems' extensive range of superior quality, simple to operate and reliable electronics will provide maximum satisfaction and ensure a crystal clear message. Recently a user of our Half Mile Hailer reviewed our product on Youtube. He uses it for street evangelism, and begins with a 100 yard test where it performs extremely well. In the city at quarter volume he could be heard 2 blocks away. With the volume at half level he can be heard completely clear at 100 yards. He says it "Definitely packs a wallop. If your looking for a good system for a cheap price that is light, easy to carry, durable and has the power you need to get over top of crowds and things like that then the Half Mile Hailer is definitely a good product." Barack Obama Makes His Message Heard With Our MityMeg Amplivox Megaphone! Barack Obama Uses Amplivox Megaphone at Fox Highschool in Arnold, Missouri - April 29th, 2009. Click Here to See Video and here to view the press release. Events like marathons and triathlons are ideal for extending your voice with a portable pa sound system. Often officiators need to be mobile and communicate their messages on-the-go which is why our wireless systems are such an asset at these events. 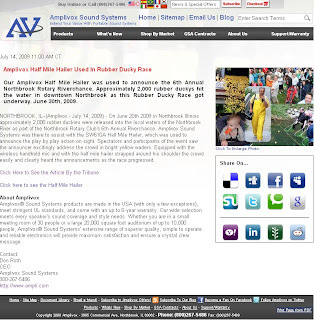 Whether it be announcing pre-race instructions to the thousands of contestants or congratulating winners, small battery powered portable pa systems and bundles like the Digital Audio Travel Partner Bundle are a staple in planning exciting and complicated events like a big race. Whether it be a megaphone with detachable mic, a sound lectern with amplifier and speakers, or an outdoor portable pa sound system, Amplivox has quality products to meet your event-planning news. Amplivox is proud to support organizations like Ironman Triathlons and the New York City Marathon. Our SW915 Digital Audio Travel Partner has something called a UHF Wireless microphone transmitter and built-in wireless signal receiver. Now lets look at two pieces of copy that both represent this feature and see what the merits are of each. 1. "The Digital Audio Travel Partner is equipped with built-in UHF diversity wireless microphone transmitter and receiver with 8 high band Frequency choices for superior performance in high interference locations." 2. 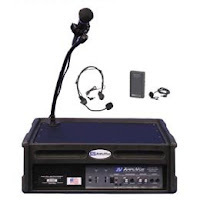 "Never be frustrated with wireless microphones again with the Digital Travel Audio Partner's UHF Mic system. With 8 'crystal clear' wireless channels your guaranteed a 'clear and free' wireless signal no matter where you are." Both of these statements essentially make the same point, but the second reaches out to the customer's needs. 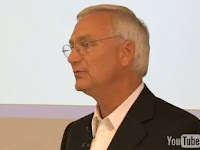 Solve your frustration... and here is how & why! The first leaves it up to the customer to determine not only if this product may or may not solve their problem, but also how it can help and why they should care. However the second version lets the customer know what it is that this product will do for them, and it gives them the information about the product that they need to know to understand how it can help them. Sure the first description sounds more technical, and it may appeal to audio technology experts, but for most people they simply want to know how this product will make their life easier. They may not even be aware of their need until they read about your product! and show them how the product's features make this possible! Recently our Sound Cruiser Car PA System was used to help the Red Eagles honor those fallen soldiers from Pennsylvania. It was mounted atop this parade float and used to project their message so that everyone along the route could hear. How do you surf the Web? Surfing the web has changed a lot over the years. Can you remember the days when you typed in www.ebay.com and www.amazon.com, and maybe mail.yahoo.com and that was about it? Now people depend upon bookmarks and search engines to get where they want to, but that still doesn't account for the way people surf today. What other ways are captivating the mouse click of internet users? 1. The random generated site engine like stumbleupon.com and clicking from blog to blog on blogspot.com have become much more typical ways of spending (or wasting?) time online. Not knowing where your going to end up is becoming a popular way to find things you just can't with search engines, and I think I know why. How else could I find cool things I didn't even know I would enjoy reading/seeing/researching or more importantly... buying. Sure you get a bunch of garbage, but all you wasted is a click right? 2.Social media has also become a huge part of the way we interact with others, but also find new favorites whether they be products, information, images or helpful software. Not only do we find things we didn't know about before, but we know that we can trust that its safe to click because our friends have already visited the site before! Facebook, Twitter, and Youtube are all great ways to be informed and connected. 2. Make sure your site's purpose is very clear to the customer so they can tell in under 3 seconds what this site is and if they want to stay there, then give them EASY ways to look around. What ways do you surf the web? Let us know by leaving a comment! With the desire for portability also comes a need for durability. Why? We're all klutzes from time to time and when you need to move around a piece of equipment your bound to drop or bang it into something else that you would have preferred not to. This amazing modern age has an easy solution that actually increases durability and portability at the same time... Hard Shell Plastic! Hard Shell Plastic can be formed and molded into nearly any shape and form being made from a mold-able polyethylene plastic that both stands up to high frequency use and makes product casings lighter and therefore more portable. Three Amplivox products stand out in their use of this durable light weight material... Our SW915 Digital Audio Travel Partner... our SW124 Roving Rostrum Podium PA... and our Pinnacle Lectern. Lets face it, we're don't all have a weight lifter's body nor are most of us world class trapeze artists, but lets make it easier on ourselves and purchase products that weigh less and can stand up to our klutz like moments. One of the greatest drives for invention has been the economy of the two in one. I own a device that is perhaps one of the most commonly used items that has two functions in one... The cellphone PDA. It saves a ton of pocket space to be sure, but why can't this apply to portable sound equipment and lecterns? Well actually It can. Our SW124 Roving Rostrum Podium PA actually is a tabletop lectern, but its also a portable pa system with two speakers (angled for wider coverage) and a 50 watt amplifier. No more lugging around two entirely separate (and big!) pieces of equipment for your presentation. Bring only one! 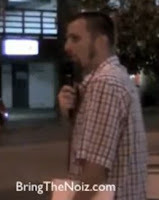 Ok, but slow down you say... What about the cables, that annoying mic sticking up and carrying around this thing??? The answer is simple! The front speaker grill is removable and contains a storage area for all your mics, wires, cables, CD's or whatever it is you need to take with you! It comes off with a simple tug as its attached with neo-magnets... no screws to loosen here! You can even take off the gooseneck and store it here! So what about moving it around? No problem... The built-in pocket handles make carrying this thing around a piece of cake, and with durable hard shell plastic its sure to withstand almost any amount of punishment you can throw at it! We have changed the name of our new portable tabletop PA system from the AMPLI-POD to the ROVING ROSTRUM® Podium PA. Please go to http://www.ampli.com/sw124.htm to check it out! 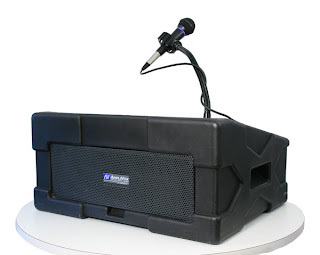 The Roving Rostrum® Podium PA is a unique and revolutionary self contained portable public address system that is truly a plug-and-play unit packed with high end features yet designed for the non-technical user. Reach audiences up to 1,500 with 110dB of clear sound. Run your computer presentation through the stereo amplifier with included cables. Easily move the lightweight unit from room to room with the built in handles and durable construction. Runs on a built in 12V rechargeable SLA battery, or with included S1460 International AC Adapter/recharger. MSRP for the SS124 is $877.00 and the Wireless SW124 is $1,253.00. AmpliVox® Sound Systems engineers, manufactures and markets portable public address systems and reliable elegant lecterns with integrated wireless sound systems for a myriad of different presentations and communication applications both indoors and outdoors, including meetings, trainings, seminars and conferences. AmpliVox® Sound Systems products are made in the USA, meet stringent UL standards, and come with a six  year warranty. We have an array of styles and sound coverage for every speaking need. 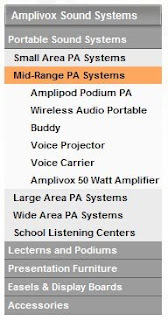 Whether you are in a small meeting room of 30 people or a large 20,000 square foot auditorium of up to 10,000 people, AmpliVox® Sound Systems’ extensive range of superior quality, simple to operate and reliable audio electronics will provide maximum customer satisfaction and ensure that your message is heard. Watch your email for our special one day sale promo! Every Wednesday we will feature a product or category with amazing prices! Take advantage of this great opportunity! Sign up to receive our emails and get a sneak peak at what is going to be on sale! Here's a hint: Some of our most popular products like the Hailer family and Buddies! The first blast is Wednesday March 11, 2009. See how easily our Amplivox Sound Systems S350 Lectern with Built in Sound system is to use for multiple people in a presentation. Easily set up and be heard loud and clear no matter who speaks! This is a retirement presentation held at Tiffin University in Feb of 2009 using our S350 Adjustable Height Lectern. 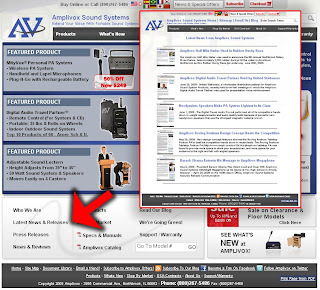 Click here to see a new blog post showing Amplivox lectern product demonstration videos! Naming something is always a challenge isn't it? A pet, a child, a product, a plant....these are all very important times in your life to bestow a name or brand and create an image. I know, naming a plant isn't really that big of a deal, but my college roomate took it quite seriously. What about naming a product to sell in the market? You have a lot of factors to consider such as marketing research, what the product does, what your competition is doing, and Google. Google, now being one of the biggest factors as we are discovering. We have been developing new products and updating some older ones over the past year and with this comes the name game. We have been naming products according to their predecessors and what the product does, which isn't necessairly good for Google searches, keywords and adwords. So the ultimate question is, do we change the name a little according to google keyword searches or do we keep it the same because its been on the market for a year and has a little recognition? Ever work with a PA System and have to run up in the middle of a presentation because something went wrong, or because the person speaking just wasn't loud enough? 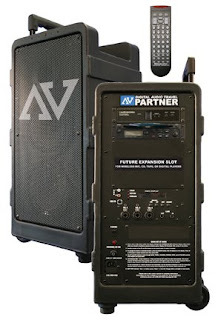 Well Amplivox went the extra mile and created a Portable PA System with A... 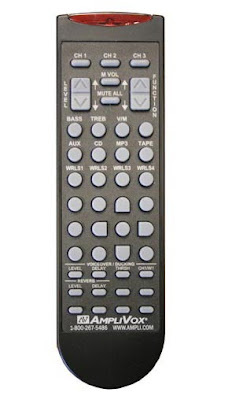 Remote Control! Extremely rare in portable pa systems and even installed sound systems our remote controlled Digital Audio Travel Partner Portable PA System is Remote Controlled so you don't loose your sanity when you just can't hear that expensive motivational speaker you just hired or that music group that's traveled across the world! Where the competition leaves off the Digital Audio Travel Partner picks up. It uses an integrated digital preamp to provide full function control and crystal clear sound with equalizer, voice ducking and many other features! You can modify volume levels for each channel, switch CD Tracks and change the Equalizer levels all from the comfort of your seat. And it won't matter where you're sitting either! We have installed IR Sensors on the front and back so that the line of sight will never be interrupted. Add the 250 watt amplifier, long life rechargeable batteries and wireless Mic included standard in this PA System and it simply can't be beat for value! It recently was included in Top 10 List for new products! Do you remember seeing those giant coin funnels in the mall where you put in a coin and you get to see it roll around and around the funnel slowly getting faster before it drops in the hole to be lost for good? 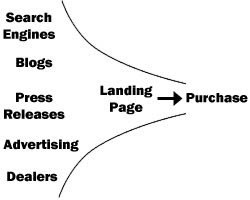 Well getting website traffic is a lot like that funnel, only all the things that you put in the coin slot (search engines, blogs, press releases etc.) don't merely go straight to the bottom, they create a cumulative effect that multiplies your efforts. This is why its important to have a multiple armed marketing strategy so that your products and services can be found by as many people as possible. This is how it works. Lets take search engines to begin with since they seem to drive the most traffic to our websites. Search engines LOVE links. What provides these links, and increases your search engine ranking? Blogs, Press Releases, Article Marketing, Advertising in online forums, dealers, Social Media (Facebook, Twitter, Youtube, Friendfeed, Yahoo Meme, etc.) and much more. Now each of these can be optimized, and improve how much they affect your search engine rankings, but the cumulative effect is much greater than if you just went based on one or two of them alone. So its clear that Search Engines will drive more traffic if you have links in other types of media, but what about blogs? How can they benefit the volume of website traffic? Did you know Blogs can drive traffic to your website? Having a clear link structure designed in the same template as your website can make it easy for customers to get where they want to in your site! How can you drive traffic to your site more effectively with blogs? Make your content relevant! Search Engines drive traffic to blog that are relevant to people's needs and blogs drive traffic to your site. Mention your blog in your press releases, and advertising and if they find what they are reading interesting they will look for more information at your blog, and then click to visit your webpage. Dealers as well might like to visit the blog to find out what products your offering that might sell best to customers, or they may even find better ways to sell your products by looking at your blog. All this adds up and results in more traffic, and more sales for you. The same thing is true for each area mentioned. They all feed into one another and the more each of these avenues are utilized the better the cumulative effect. The Lesson to learn from this? Make sure your marketing staff isn't forgetting any of these areas, or you'll be missing out on more than you think. VHF vs UHF wireless - Which to buy for your needs? Here at AmpliVox we sell both UHF and VHF wireless systems. A lot of our customers ask which is best for their setup. Here are some factors to consider when purchasing a wireless sound system and spending your dollar wisely. Factors to include are: where the systems will be used, how they will be used, and for what purpose or application. Other factors, such as whether the equipment will be used in many different cities, may also be important. UHF wireless systems always cost more than similar VHF wireless systems. The extra cost of UHF equipment is due to the necessity of using more expensive ultra-high-frequency parts, the greater total number of parts required and the need for more expensive construction techniques. Other manufacturing costs are also higher, especially the amount of time required to adjust the equipment and verify its performance. While the cost difference between UHF and VHF equipment has been declining, it is unlikely to disappear. If the wireless equipment will be used in different cities, VHF systems operating on the special frequencies in the 169-172 MHz range will be a good economical choice (applicable in U.S. and Canada). However, these frequencies, which are sometimes referred to as "traveling frequencies," are very popular, and are not a good choice for situations where large numbers of wireless systems are likely to be present, such as at trade shows and expositions. In such situations, frequency-agile UHF systems will be a better choice. If the wireless equipment will be used in situations where several other wireless systems are likely to be present, UHF systems are recommended. This is because more frequencies are available, reducing the chances of interference. Such as a trade show or conference. Wireless mic systems generally operate in several bands from 150MHz to 216MHz, which includes the VHF TV channels 7 through 13, or in the 470MHz to 806MHz UHF band (TV channels 14 through 69). TV channels 60 to 69 (746 to 806MHz) are being re-allocated, as of the date of this writing, for other applications. In addition, the band from 470 to about 516MHz is also being re-allocated for public safety applications. The demand for more spectrum usage is increasing while the available spectrum for wireless microphones is decreasing. Above the TV band is another part of the UHF spectrum from 902 to 928MHz. This upper UHF band is a "general purpose" band being used by a multitude of different applications ranging from garage door openers and amateur radio, to home-use cordless telephones. 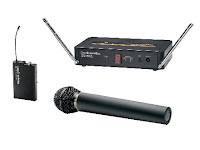 Generally speaking, the 902 to 928Mhz band is not a good choice for wireless microphone systems, especially for professional use in traveling applications. Interference is virtually guaranteed in this band. So again, it is unreasonable to assume that UHF is better by default. Simply put, UHF systems do not hold any large technical advantage over otherwise similar VHF systems. The primary advantage of UHF operation is that there is less chance of interference because of more available frequency spectrum. Close up of speakers set at an angle. These speakers are set at an angle to overlap and broadcast over 180 degree coverage. Best Weight to Sound Output Ratio In The Industry! In response to complaints about heavy cumbersome so called Portable sound systems, Amplivox has designed our new Digital Audio Travel Partner with weight in mind. However most smaller PA Systems sacrifice quality of sound for the lower weight, and skimp on the quality of the speakers, the power of the amplifier and the durability of the product. Amplivox has not taken this low road, but has ensured that the the Digital Audio Travel Partner has great sounding speakers, a powerful amplifier and an incredibly rugged enclosure. In fact our Digital Audio Travel Partner has the best sound output to weight ratio in the entire industry! How did we accomplish this task? Well there are many design features that made this sound output to weight ratio possible, but one in particular stands out as a great innovation in the industry. Amplivox Sound Systems has incorporated the latest technology with its lightweight 6" neodymium speakers. Neodymium is a rare earth metal often used in magnets, cryocoolers and welding hoods, and thankfully neodymium magnets are the strongest permanent magnets known (Read More About Neodymium Here). Neodymium magnets are very strong relative to their mass as well holding more than 1300 times their own weight (Read More about Neodymium Magnets Here). 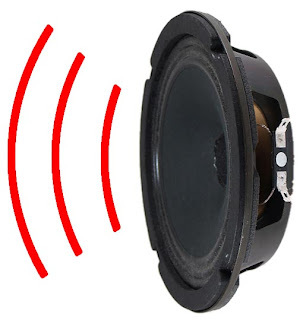 With the use of this extremely strong magnet in our speaker design the Digital Audio Travel Partner can get better sound projection with lighter weight magnets, which means less back strain and more sound. Usually the larger and heavier the magnet the better the speaker is, but with neodymium magnets we can compress all that power into a much smaller more powerful package. Digital Audio Travel Partner Top 10 Product! AmpliVox is pleased to announce its TOP 10 ranking for the SW915, Digital Audio Travel Partner, from American School & University Magazine in the December 2008 issue. 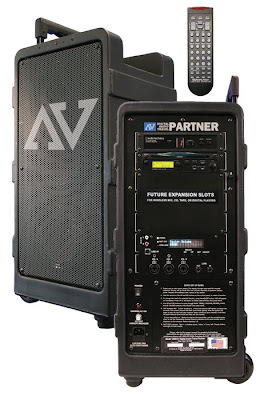 The SW915 Digital Audio Travel Partner is a portable public-address system with remote control, built-in echo/reverb and talk over with enough power to cover audiences up to 7,500 people and rooms as big as 25,000 square feet. It includes a UHF 8-channel diversity internal wireless receiver, a CD/RW MP3 disc player with pitch control and USB input with choice of mic: handheld, headset, collar, or lapel and transmitter. Select RSN number 159 for more information at freeproductinfo.net/asu. These days companies across the globe are trying all kinds of tactics to get an edge on the competition in the world wide web. Search Engine Optimization competes with Marketing strategies for design features, code volume and screen space. Whether your goal is to drive more traffic to your website, or get customers to stick around longer and buy more stuff we've found a great way to satisfy that goal. The answer is Web Crumbs. This is a throw back to your childhood and the story of Hansel and Gretel! No Joke! As you recall from this childhood tale, Hansel and Gretel leave behind bread crumbs as they venture into the forest so that they can find their way out, but they get detained by a hungry woman in a quaint gingerbread house. Well when it comes to the web we too want to leave breadcrumbs for the customer to find their way back where they came from. The solution is web Crumbs. These great little features can be utilized in several different ways, but I want to share with you how they will help both consumer and webmaster alike. Browsing gets complex! When dealing with as few as 10 products, categories need to be introduced to make it easier for the customer to find what they are looking for, and web crumbs allow the user to navigate back and forth within these categories. Search Engines can navigate your site and figure out what the category structure is more easily and therefore drive more customers and more importantly the right type of customers to your site. The most important category pages get the most links from other pages so your not watering down your highest ranked pages down with 10's, 100's or 1000's of product pages that have the exact same relevancy to search engines. Its easy (and important) to include keyword rich text in the links because they must be short and simple. 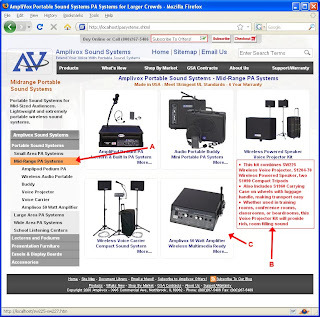 See how our new template design and addition of web crumbs has made finding products at Amplivox Portable Sound Systems (Click to See Visit our Website) easier to find! Smaller Images with Short Description so you don't have too much to read to find what your looking for and can search for products at a glance!